Live betting (also known as in-game betting) is perhaps the fastest-growing area of all online sports betting. If you’re nervous about trying it out, don’t be. It a quicker pace than traditional online betting and you’re able to wager on unique aspects of the game. Compared to pre-game betting, there’s nothing all that different about it. 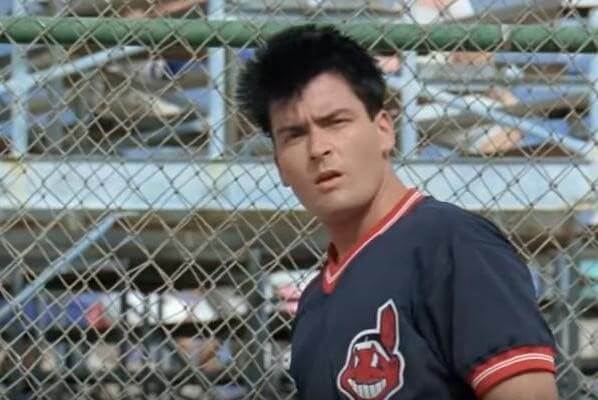 Allow us to put on our Ricky “Wild Thing” Vaughn wig and walk you through the what, how, and where of live sports gambling (including some tips and tricks to building your bankroll). We can’t promise our stroll through live betting will help your walk-rate, but it should wipe that confused look off your face. Live betting isn’t much different than regular sports betting. If you understand how to bet on the moneyline, the spread, and the total, you’ll have no problem understanding how live betting works. When betting on live odds, you’ll still be wagering on moneylines, spreads, and over/unders. Even though you can bet on different aspects of the game once it’s underway, there are a lot more similarities between live betting and regular than there are differences. Looking at some pictures will make all of this much clearer. The first image below (Figure 1) shows what the NFL betting menu on Bovada looks like before a game starts. The second image (Figure 2) shows what the live betting menu looks like for a game that’s in progress. Figure 1: Regular NFL betting menu. Fig. 2: Live NFL betting menu. As you can see, the only difference in the second image is the word “LIVE”. Otherwise, the available betting options are exactly the same. You can bet the spread, the moneyline, or the total. Figure 3 below shows the top part of the submenu for a Houston vs. Memphis college football game midway through the second quarter. Figure 3: College football live betting submenu. It’s in these submenus that the major differences between live betting and traditional betting take center stage. Let’s go back to our NFL examples and use a couple more handy images to illustrate those key differences. Figure 4 shows the first part of the submenu for Washington vs. Dallas which is focused on the spread, moneyline, and total for the first half and each individual quarter. These are very common props to see when betting on an NFL game before kickoff. Figure 4: Regular NFL betting submenu. With in-game betting, first-half and quarter lines are often still available (depending on the stage of the game), but so are additional props like the outcome of the next play, next drive, and so on. Figure 5: Live NFL betting submenu. Here, the first part of the live betting submenu for Chicago vs. Detroit illustrates a couple of the props that are unique to in-game betting. For instance, whether the Bears’ next drive is a touchdown or field goal. Live betting affords bettors many advantages that they wouldn’t otherwise reap. Read on to learn more. Live betting appeals to different people for different reasons. Some bettors feel they have an informational advantage after watching part of a game. Once they have a sense of which players are “on” that night or which team has momentum, they believe they can better predict the outcome of the game, current drive, or simply the next play. In-game wagering can be enticing due to instant gratification. Obviously, when betting on the outcome of the next play, you’ll know the result a lot sooner than if you bet on a Sunday NFL game mid-week. If you bet on “turnover” in the first prop in Figure 5, you could turn $10 into a cool $200 in mere seconds, assuming that the next play results in an interception or fumble. Generally speaking, it doesn’t take very long for in-game bets to be graded and paid out. On faster sites, you’ll see your winnings placed in your account within minutes. That’s not a completely selfless act on the part of sportsbooks; they want you to put your money back in play ASAP! However, there are a few inconvenient and less enticing aspects of live betting. The main disadvantage of live betting is that there’s usually more juice (or “vig”) on the lines. That means you’ll have to bet more to win the same amount. If you bet on the favorite (Dallas or Chicago) in either game, you only had to risk $105 to win $100. However, if you bet on Washington as a pre-game underdog, you only had to risk $115 to win $100. If you had bet on Detroit as an in-game underdog, you had to risk $125 to win $100 with the in-play betting. That’s an extra 8.7% juice on the live betting odds! The amount of extra juice can vary from site to site, but the standard is around 10%. Another drawback of live betting odds actually doubles as an advantage: speed! Some bettors become frustrated with how quickly in-game odds pop-up and then disappear. Figure 6 below shows something live bettors see all the time: a couple props that are currently closed. Figure 6: Live NFL betting submenu with closed props. The “strikethrough” font indicates bets that aren’t available at that time. Different sites indicate unavailable props in different ways, but no matter which site you use, you’ll see various propositions alternate back and forth between available and unavailable (sometimes multiple times a minute). Oddsmakers are always adjusting and refining their odds and they “take down” the props until they’re confident that the right odds exist for that exact moment. This means that bettors have to be on their toes at all times in order to capitalize. There’s nothing more frustrating than seeing a bet you tried to make pan out. When you do miss out on a successful bet, don’t let the ensuing frustration cloud your judgment. 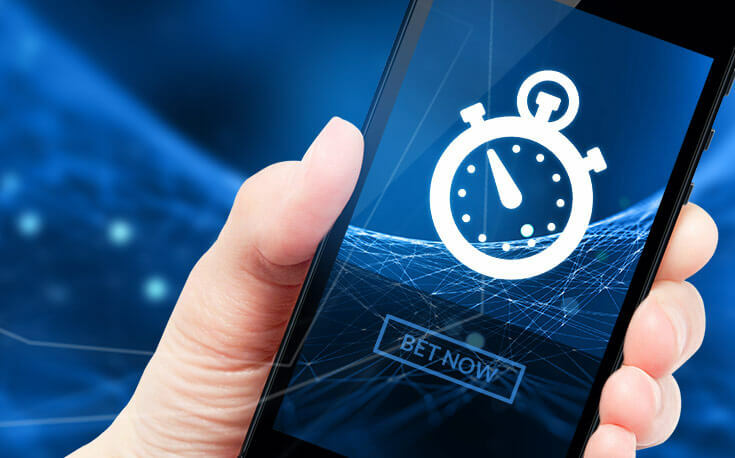 Missing a bet is inevitable while live betting, even if you’re alert and have the fastest connection possible. Odds are generated and, subsequently, change so quickly in live betting. As the game progresses, it’s important to keep in mind that it’s highly likely you’ll miss one or two wagers. Since it takes a lot of manpower to create and adjust betting lines on the fly, the live betting menu on most sites is often smaller than the regular betting menu. Just because a site offers a pre-game spread for the Elon vs. Abilene Christian college basketball game doesn’t mean it will be available for live wagering after tip-off. That said, you’re almost always able to bet on NFL, NBA, MLB, and NHL games, along with a huge selection of college football and basketball, plus soccer (e.g., MLS, major European leagues), tennis, and golf. On some sites, you’re even able to wager on boxing and MMA fights mid-match. The range of available games is one of the biggest differences between sites, as some sportsbooks devote more resources to live betting than others. If in-game odds are one of the major reasons you want to start betting online, be sure to research the live betting selection before signing up. How Does Live Betting Work in Practice? On all the sites we’ve used, the process for live betting is exactly the same as the process for regular betting: Simply click on the spread, moneyline, or total you want to bet on and it’ll appear in your bet slip/bet window. Next, enter your stake and go through that site’s confirmation steps. The bet slip may have slight visual differences, but nothing should be confusing if you’re already familiar with that site’s regular betting process. The top right-hand corners of Figures 7 and 8 show BetOnline’s regular bet slip and live bet slip. Figure 7: BetOnline’s regular betting slip. Figure 8: BetOnline’s live betting slip. They may look a little different, but not so different that you don’t know how to proceed. Note that the “Max. Bet” on the live bet slip is $500 on this particular wager. While the maximum bet on the regular bet slip is not indicated, it will be higher than $500. That’s a common dynamic. Live betting tends to have lower limits than regular betting, but unless you’re a high roller who wants to put down thousands of dollars, the limits won’t impact you. Where Can You Live Bet? Almost every online sportsbook offers live betting odds these days. From Bovada to BetOnline to MyBookie (and every half-decent site in between), in-game betting is part of the product. In our experience, every site with a mobile betting platform (i.e. any site where you can bet from your smartphone or tablet) lets you use the mobile version of their site to bet on live events. The in-game menus look a little different from site to site and the types of bets you can make will also be slightly different, but if you’re looking for live betting action, each one of our top ten online betting sites has gotten in on the live betting fun. Start In-Game Betting with Confidence Today! Now that you know a little more about live betting, you can get in on the fun, too. If you’re feeling like you need to brush up on the fundamentals of sports betting, check out the rest of our betting 101 section, where everything from betting against the spread to how bookmakers set their odds gets covered. Good luck!